We loved the Honda Civic for years, but the series of petrol price hikes in the past has not only made it a not so pocket-friendly car but also forced Honda to reduce its production to the minimum possible level. In fact as we all know, the company has also made it very clear that the 2012 Civic will not be coming to India. 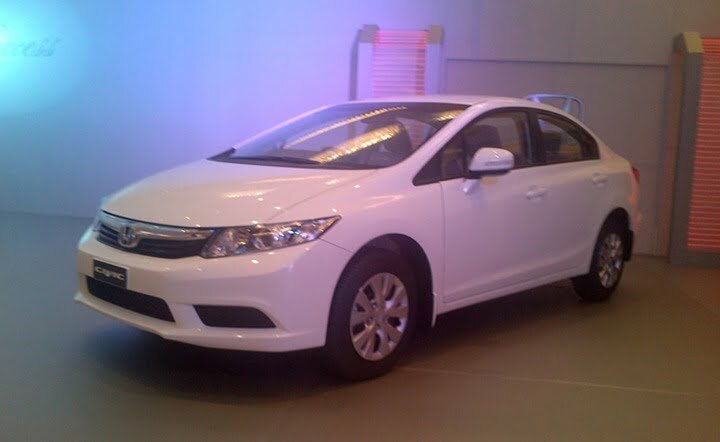 But the company has launched the 2012 Honda Civic in Pakistan. What could have convinced Honda to launch the car in Pakistan? Interestingly it has to be the petrol prices which is around Rs. 60 per litre in Pakistan as against Rs. 70 in India. It is the ninth generation Civic that made its way into Pakistan yesterday, while the 2012 Honda Civic was introduced a few weeks ago. Talking a little about the car now, it is very much evident that Honda has comprehensively reworked the looks of the car. Instead of the uniquely styled headlamps of the previous Civic, the 2012 model takes its inspiration from the 2012 Honda City. Sleek headlamp cluster with HID bulbs, grille with chrome inserts, a sharper look is what the new Civic is all about. Even at the rear the car expresses an entirely new design with swept back tail lamps that extent to the boot lid. On the inside the first and most distinguishable feature is the redesigned dashboard which is now less curvy. The LCD display deck just above the dashboard is now bigger in size and offers more features and information. A new steering wheel featuring cruise control and audio controls is another remarkable improvement. Instead of being completely flat, the centre console is inclined a little towards the driver for convenience. A multifunctional display in the form of a touchscreen is also available as an option for buyers who are willing to pay more. Under the hood, the car equips the same old 1.8 litre i-VTEC petrol engine that delivers 141 BHP of peak power and comes with a 5 speed manual or automatic gearbox. The 2012 Civic is priced between Rs.11 lakhs and Rs.13.2 lakhs in Indian rupee value.